Pope Francis has made an ambitious New Year's resolution for 2015: the Vatican has announced his intention to push for decisive action against climate change. The Pontiff will issue an encyclical to the world's 1.2 billion Catholics, address the UN general assembly and convene an interfaith summit. According to Bishop Marcelo Sorondo, chancellor of the Vatican's Pontifical Academy of Sciences, the pope hopes to influence the outcome of the UN Climate Change Conference that will be held in Paris in from November 30th to December 11th next year. The goal of the conference, after 20 years of negotiations, is to finally achieve a legally binding global agreement to reduce greenhouse gas emissions. "Our academics supported the pope's initiative to influence next year's crucial decisions," Sorondo told Cafod, the Catholic development agency. "The idea is to convene a meeting with leaders of the main religions to make all people aware of the state of our climate and the tragedy of social exclusion." In recent months, the pope has argued for a radical new financial and economic system to avoid human inequality and ecological devastation… Sorondo, a fellow Argentinian who is known to be close to Pope Francis, said: "Just as humanity confronted revolutionary change in the 19th century at the time of industrialization, today we have changed the natural environment so much. If current trends continue, the century will witness unprecedented climate change and destruction of the ecosystem with tragic consequences." However, Francis's environmental radicalism is likely to attract resistance from Vatican conservatives and in rightwing church circles, particularly in the U.S… Dan Misleh, director of the Catholic climate covenant, said: "There will always be 5-10% of people who will take offense. They are very vocal and have political clout. This encyclical will threaten some people and bring joy to others. The arguments are around economics and science rather than morality." 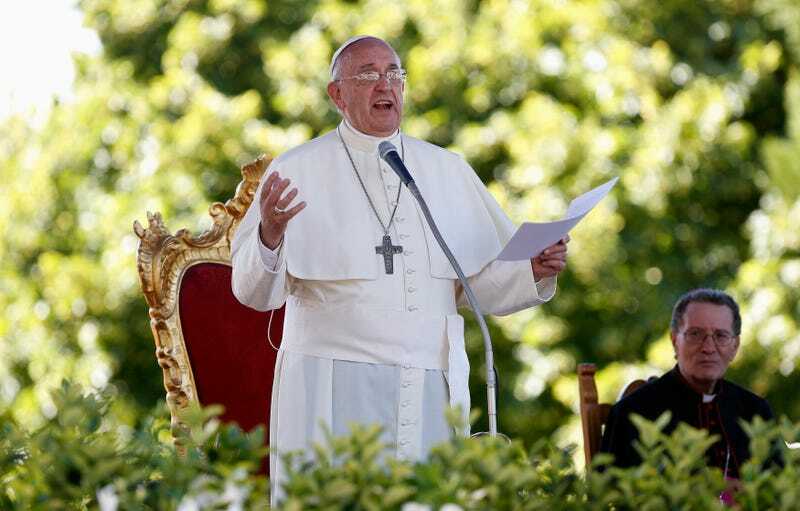 Francis will also be opposed by the powerful U.S. evangelical movement, said Calvin Beisner, spokesman for the conservative Cornwall Alliance for the Stewardship of Creation… "The pope should back off," he said. "The Catholic church is correct on the ethical principles but has been misled on the science."